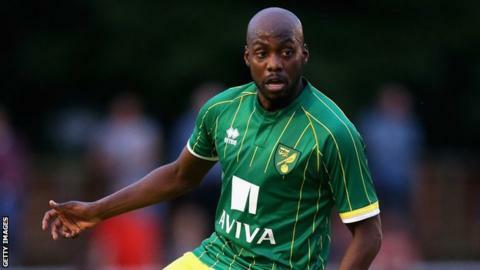 Norwich City midfielder Youssouf Mulumbu will miss the start of the season after breaking a metatarsal bone in his foot. The summer signing, a Democratic Republic of Congo international, suffered the injury in a pre-season friendly against Brentford on Saturday. Former West Brom player Mulumbu, 28, was due to undergo surgery on Monday. Canaries boss Alex Neil said: "We anticipate his recovery should take several weeks."